Skin care and hair care are the two primary drivers of the larger beauty and cosmetics industry. The numbers are positively astronomical, and there are so many brands and labels available for the consumers to choose from. We invest a lot in our hair and skin, because we want to look good and feel better. When you walk out of your home looking and feeling good, it can change a lot about your day. And I am talking on an emotional level here, not something shallow and egocentric. You are happier when you feel good about yourself – that just makes sense – and whether some would like to admit it or not, our appearance matters a great deal. This is where Aveeno comes in to play. An industry leader, there is so much that Aveeno can do in order to help you look – and more importantly, feel – better about yourself. We’ll fill you in on all things Aveeno, including everything the company has to offer, here in our Aveeno company and products review. Aveeno has been manufacturing skin and hair care products for over 70 years. It was founded in 1945 by Albert and Sidney Musher, two brothers from Washington, D.C. The duo was very interested in how substances interact, in business, and in “what makes people tick”, as Albert Mushner put it. One of their shared endeavors was researching the effects of raw cereals on human health and wellness. Their combined modern scientific research on cereals – conducted at some of the most advanced facilities at the time – harkened back to ancient times, since they were experimenting with age-old ingredients. Oats have been used as an active ingredient for thousands of years, and the Mushner brothers were about to take it to the next level. The scientific name of the common oat is Avena Sativa, which is where Aveeno gets its name. In 1945, the company came out with its very first product, Soothing Bath Treatment, which was developed in conjunction with the Mayo Clinic. The active ingredient in it was finely milled oats (also called colloidal oats), and it had a major effect on itchiness. Since then, the company has grown and expanded to many areas. The company has been bought and sold several times, and it is now a subsidiary of pharmaceutical giant Johnson & Johnson. Here is a glance at the various items they manufacture and sell these days. 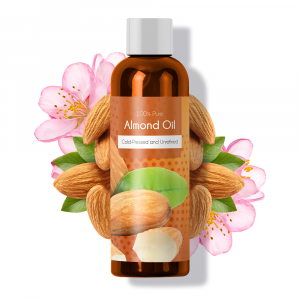 The one thing they all have in common is their ‘Active Naturals’ core – oats, soy, blackberry, wheat, seaweed, lotus, and others – which is what makes Aveeno products so popular. 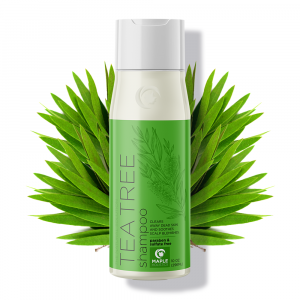 Hair – shampoos, conditioners, and leave-in treatments, designed to nourish, moisturize, and strengthen the scalp and hair. Body – washes, lotions, creams, gels, bath foams, and even a comforting whipped souffle – all designed to nourish, sooth, hydrate, and protect the skin. Face – facial creams and eye creams for day and night, toners, moisturizers, scrubs, infusions, cleansers, wipes, and cleaning pads – this line is designed specifically for the face, and helps to keep it young and healthy. 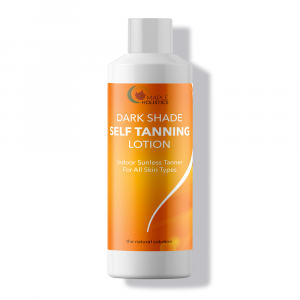 Sun – this category is comprised of products meant to protect the skin from sun damage. 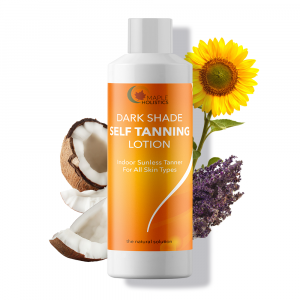 Various levels of sun protection factor (SPF) are available, ranging from 15 to 70. There are Aveeno Sun products for babies and adults. Baby – Aveeno’s pediatrician-recommended line of baby products is designed to keep our cuties looking cute and feeling healthy! Shampoos, washes, lotions, balms, creams, and gift sets are available for babies and toddlers of all ages. Here is our review of some of their bestsellers! 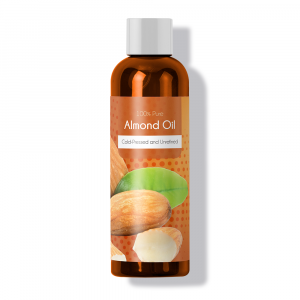 Available in 8 oz tube bottles or 18 oz pump bottles, this lotion is really great for calming irritated skin and moisturizing without being greasy. For dry areas and patches of dry skin, this can be highly beneficial. It provides you with a nice and healthy glow throughout the day. Babies have delicate skin, and this lotion helps to sooth and protect it. 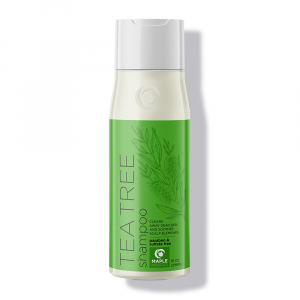 It is nourishing and non-greasy, does not contain alcohol, and is fragrance-free and hypoallergenic. I couldn’t get an actual baby’s review on this (unless you consider a smile and a slight spit-up incident to be a review), but as a parent I can tell you that it seems to work just fine, and that mister baby is happy. I don’t use this lotion day, but when his skin needs some extra moisture, that is the go-to item. RELATED: Check out our Garnier, Rimmel, Jose Eber, Proactiv, Too Faced, Lush, and Dove reviews! This blemish balm (BB) cream evens out and balances your skin using an active soy ingredient. Helps to correct marks and spots caused by older breakouts or pimples, and prevent the same occurrences from happening in the future. This cream has a 30 SPF, and it is a great way to brighten your skin’s complexion on a daily basis. A baby’s hair is usually soft and silky all on its own, but sometimes – like after they get a ton of pasta and tomato sauce in their hair – it needs to be cleaned and washed. Aveeno baby wash and shampoo is a 2-in-1 item which is just what mister baby needs to look and feel great. Formulated to accommodate an infant’s sensitive skin and scalp, it is a gentle cleanser which is soap-free and non-allergenic. We recently wrote an in-depth review of this product, so now all we have left to say is: have fun in that bath, little one! First off – there is some confusion about SPF numbers, so let’s clear that up right now. Higher is not always better. For general, everyday use, SPF 15 or 25 can be enough. Some products go up to 70 (even some Aveeno products), but those are meant primarily for people who are planning on staying in the sun for prolonged periods of time, picnic/beach/what have you. For autumn and winter (and some spring days) 15 SPF is probably enough, though for summer you may need to up it to 25 or more. The reason many companies provide a very high SPF count in their products is to make up for lack of use. In other words, a high SPF is not necessarily needed for those who are more conscious of proper sun exposure. This daily moisturizer is for all skin types, and has an active ingredient of soy. It helps to even out, tone, and texture the skin. Essentially, it smooths things out, but doesn’t necessarily help clear spots and blemishes. It can seem shimmery, but it isn’t. That shimmer you may see is actually light-reflecting particles which are part of what makes it up. This next product has been clinically proven to provide moisture which lasts for 24 hours. A baby’s skin is naturally sensitive and delicate, and this oatmeal-infused cream is formulated to soothe and keep smooth. I find that it is not necessary to use it every day or even every two days. Once or twice a week, I use this cream after bath time, to keep baby well-protected. Not a must by any means, but it can help. I am seriously into this next product, and have used it on and off in the past. I’d probably go back to it if I felt the need to revitalize on a daily basis. I have changed my diet in recent times, and it has changed the look and feel of my skin and its outbreak-prone tendencies. Because of that, I don’t feel the need to use it on the daily anymore. When I did use it, I thought it was really wonderful. It provides the skin with an even and clear look, just like the label says, really. The active complex is soy, and it helps to hydrate and nourish the skin. Definitely recommended, at least while you need it. Is Aveeno Cruelty-Free? Does Aveeno Test On Animals? Some of Aveeno’s products contain animal ingredients, while others do not. Make sure to check the label. Either way, they are not vegan by a long shot. Aveeno does indeed test on animals, or rather, Aveeno sells its products to regions where animal testing is required by law, such as China. It seems Aveeno (or perhaps its parent company Johnson & Johnson…) tries to be deliberately vague and somewhat ambiguous about its animal abuse policies, but the fact remains that unfortunately it is not vegan or cruelty-free, at this time. Check out the rest of our blog for features on brands like Head and Shoulders, Herbal Essences, Axe, Burt’s Bees, Suave, and That’s It – it’s all here at Maple Holistics! Aveeno’s products are great for many types of skin and hair. However, just like with any other beauty and cosmetics product, what works for one person amazingly well will cause another to break out. Definitely worth looking into, even if they are not cruelty-free. Their products get the job done in most cases, but ultimately it is a matter of personal choice and preference. Aveeno products are usually moderately priced and highly accessible, and are based on age-old natural ingredients such as oats and soy.